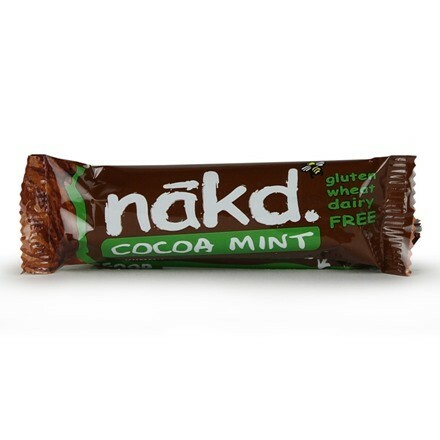 Bursting with natural cocoa and mint flavours to tingle your taste buds. Raw wholefood snacking at its best. • Made from natural, raw ingredients. • Cold pressed, not baked. 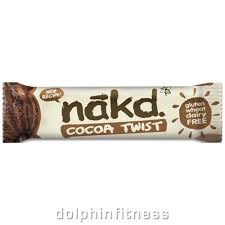 • Naturally free from wheat, gluten and dairy. • No added sugar or syrups. INGREDIENTS: Dates 48%, Cashews 29%, Raisins 17%, Cocoa 6%, a hint of natural mint & chocolate flavouring. 100% Vegan. Gluten, wheat and dairy free. No added sugar, may contain traces of peanuts and other nuts. Gluten, wheat and dairy free.